Don’t think it; do it! How many times do you think of something without following it through? Have you been cluttering up your mind by thinking of what needs to be done? Remember don’t put off until tomorrow what you can do today! If you see it; do it. Do you think you are starting to become a hoarder? Don’t question your judgment. This happens for me with the clothes of both myself and my husband. I am afraid, I will regret my decision later. I either need to throw them out, give them away, or put them away. Don’t leave it til another day. Are you surrounded from the past and the present by people who question your decisions. In the long run, this just makes you look like a person who can’t make up his or her mind and leaves more reason for criticism. Remember these people, operate on the principle, “Don’t look at me, look at him or her”. Don’t put it off. If you can put it off, pick a day to do it before it will be overdue. I do this with taxes. I set a tax date with our accountant and focus on taxes the two weeks before. If you do put it off and have to pay for it, just chuck it up to experience and do better next time. If you go ahead and do it, do a little more each time than just what is necessary. When you do something, throw yourself into it. If it worth doing something, it is worth doing right. Remember, being a critic is an easy job. You don’t have to help somebody or even think about it. You can practice making decisions or do something a different way or even teach yourself how to do something so you don’t have to ask someone else. This happens to me with new appliances. I don’t read the instruction book. If you have lost it, you can find it online. Then if it is broken or missing a piece or has poor instructions (The people who right the instruction books are not the people who have to use them. Has the person who has written the instructions put themselves in your shoes or asked a person who has never used it before to try and use these instructions? Before throwing old gadgets away that have never been used Take some time to try to make them work but throw them away if they don’t work. Remember to reward yourself for what you get done, not what you leave undone. The person that is most likely to notice that you have done something is yourself. How many projects don’t look like something until they are completely done? Have you every watched someone put something together and it is not until is finished that a person can determine if it works or if it looks like anything? If you are the person trying to do this, reward yourself either way because you can dispose of something if it is useless and can’t be made to work anymore. Give it the old heave-ho. Don’t overthink it. Is the task worth the extra time you spend on trying to get it right? Remember practice makes perfect. Children don’t do this. When they have an idea when they are playing, they just do it. I have spoken about mind clutter. Now you know you can do something about it and you can use that time to fly-fish or meditate bother productive tasks! You can even make your downtime productive and do things you didn’t have a chance to do. My mother had one good rule. As a young daughter, I had many “projects” and instead 0f having me put everything away at the end of the day, she had me group my tools and materials together and put them up somewhere (this also kept people from tripping over them) where I could go get them and work on it another day. This also kept me from losing them and having to find everything again I needed the next day. Stop doing things that you don’t think are necessary like making your bed in the morning instead of straightening the covers before you go to sleep. My mother (God Bless Her Soul) used to iron the sheets. Who does that anymore? Remember bedrooms in advertising have been staged to make them look neat clean and very desirable. Bedrooms don’t look like that only if you have rented one in a hotel and you are just coming in the door. Best suggestion I have ever heard. If you are having surprise company, before you go to the door stick your vacuum in the middle of the floor like you have just started to clean the room or turn your Roomba on. I don’t know about you, but my vacuum is already in the living room by the front door as we don’t have a coat closet. See; I am ready for anything. If you are doing something, just do it. Don’t think about what you did not do yesterday or what you have to do tomorrow. It is a good idea to have a notepad handy (either electronic or paper) on which to write things down that you want to remember but can’t do anything about now. YHow about trying to learn Lincoln’s Gettysburg address and loading the dishwasher. Now I can sing or listen to hymns while I work because I might want to sing them in church someday as a “special”. As you can see I am taking a sabatical this fall. I have no classes to teach this fall which means it will be a squeeze financially but I will have more time to devote to writing for this website, more time to babysit grandchildren (which is a mixed blessing), more time to meditate in several different ways, and more time to pursue my own personal growth. While I was teaching this summer (and taking an art class myself), I was feeling stressed out and at times it made me physically ill. Do you think that as a psychologist I should have known better than that? Maybe. But I just know from past experiences that it is a sign that I should take heed of and do something about. It took time and money out of my pocket in order to teach even though I have been enjoying it and growing a lot doing it. Yes, I was paid but as a part-time instructor and only for what classes I taught each semester. This summer I made an hour round trip trip to town four days a week for two months spending the whole day there two days a week. I will take two road trips this fall to see the evangelist Joyce Meyer and attend the homecoming celebration of my undergraduate college in honor of my class’s 50th anniversary. I will be doing this on a shoestring; but I am not going to miss these chances to do something I want to do which only comes along once in a blue moon. I have already gotten one surprise phone call offering me some financial help for one of my upcoming seminars after it was decided that I was not going to teach this fall. I also have recently found some books that answer questions I have been asking, but did not get the answers for that I have been gobbling up. Yesterday, I caught up on some of my sleep and decided to do nothing that I didn’t have to do. I missed one of my regular salesmen while I slept in the afternoon and I did not check on most of the things that I am checking on today and I did not turn my computer on. I am growing. I intend to explore new and old things that I have not gotten around to doing recently. The thing I was most afraid of happened. And I survived. It is time to help yourself to the smorgasbord of life. There now is so much information out there that you can use to help yourself have a better life. Self-Help books have multplied geometrically. More and more people are investigating the spiritual realm whether it is the one that they were born into or one that they adopted when they were older. This kind of knowledge was once hidden and/or people were discouraged from pursuing it on their own. Knowledge of this universe and how it works can only help you manifest what you want out of life for yourself or others. Often you hear people saying, “I can’t help myself” when asked why they are not getting ahead and/or don’t know what they want out of life. All knowledge is built on knowledge previously attained and assimilated. Every discovery that leads a person on to new fields rings an imaginary chime in the person head and often affirms an idea or belief that the person was already contemplating. In the smorgasbord of life, you only take what you need and help yourself to whatever tempting dish calls to you. In a real life smorgasbord, I might choose herring in sour cream or wine sauce. You, however, might not touch it and may even be repulsed by it. Remember to avoid temptation when it calls for you to hurt yourself or someone else. There are so many new techniques of self-discovery perpetuated by modern day psychology; meditation and mindfulness are just two of them. Old standards are relaxation techniques and hypnosis. Should we save such techniques for people who are having serious mental health problems or should we teach them and encourage their use by everyone to help them feel better and succeed in life. When the pupil is ready the teacher will come. Be realistic and find a reliable qualified practitioner. There has been the scientific verification of things in psychology that we either didn’t know could happen or couldn’t prove if we suspected that they might happen. The formation of crystals when water was frozen was effected by the positive or negative nature (the vibrations) of the words that labeled the water’s containers. When they were positive , the crystals were beautiful and well formed under the microscope; but just the opposite happened when they were negative. It was difficult or almost impossible for the water to form stable crystals when the words were negative. It is also shameful that much has been learned in psychology as a science that could help us to raise people from children to adults with fewer problems in behavior, thinking, and relationships. In the name of freedom, we are not allowed to tamper with how and why children are conceived, who can have them, and how they are raised. Many children are raised with parents who are poor examples of how to behave and in less than optimal circumstances especially when parents or caregivers decide not to use their available resources (time? money?) on the children. If there are problems, parents can determine that nothing will be done about them. In psychotherapy later in adulthood how much time is spent undoing what went wrong in childhood? Atmosphere is important. Children, even babies can sense when an adults, words, facial expression, behavior, or gestures do not match. However, the adult often tells the child who sense this that they are wrong because the adult does not want the child to not trust them. There are resources out there and they can be found in many places. People and groups of people who share the same beliefs involving respect for all life, determination to do the most good for the most living beings, and love for all provide these kind of resources. Interested in Meditation & Self-Help? I can’t remind you often enough. There is a free Holosync CD offered by Centerpointe Research. (See link at the bottom on the left side. Click there.) It finally got me started meditating, really meditating. The testimonials blew my mind and were so fantastic I could hardly believe they were true. stages of the program and there are often several freebees included with each level. I am not through with the entire meditating program as there are many levels and it has taken me at least six months to do each level (and they don’t recommend that you do them any faster). Be prepared to devote some time to it. Make it a regular practice. also listened to them in the night when I have had problems sleeping. books and workshops for self-growth a month (usually less). introductory recording and/or the first level of the program. use of the Holosync Solution. Try it, you will like it. I did! I am not through with the entire program as there are many levels and it has taken me at least six months to do each level (and they don’t recommend that you do them any faster). Be prepared to devote some time to it. Make it a regular practice. use of the Holosync Solution. Cross talk and mind chatter represent the clutter of the mind. Meditation developed my ability to clear my mind and turn off the conversations in my head. My mind is usually not totally blank when I do this. Especially when I am doing this while I am out and about. I am aware and am able to remain alert for necessary stimuli. I thought I had mastered the art of diminishing or even stopping the crosstalk and mind chatter in my head. Then I realized that I was having a running commentary in my head as I was fixing myself some leftovers. Every time I performed a necessary action like turn on the microwave, I told myself to do it. I decided to experiment and go ahead and fix my bite to eat without having a conversation in my head with myself. Miracle, of miracles, I could do it. Where did that habit involving cross talk and mind chatter come from? I usually don’t do that when I drive. Yes, I am aware of what I am doing and what I am going to do. Could it possibly be because there is less routine and more choices to be made when I am heating up something to eat? Does driving involve more habits? Also there is another factor involved in what I do in the kitchen. I had to become more deliberate in my actions when I cooked and prepared something to eat. Things I used to do around the house without thinking, I now had to think about because I developed physical limitations that I hadn’t had before. I had to be careful how I did things and I had develop new ways of doing some things. I think that this comes under the category of do-it-yourself occupational therapy. To avoid an accident, hurting myself, or breaking or dropping something, I had to remind myself mentally to be more careful about doing some things. Now that I have formed new habits in this area, it is about time for me to cut back on cross talk and mind chatter and “go it alone.” Now maybe I can get in a meditative state of mind around the house. Facing your past anxieties is difficult. Just when you think you have faced them all, something new comes up. I become down right unreasonable, short with other people, and reclusive. Anything you are afraid of facing like being unsure about your self, damaging a relationship, etc. can occur. I have been fighting it rigorously for the past five years with mindfulness and meditation. These two techniques can help you in facing your past anxieties, but they can’t eliminate them all. You ultimately have to form your own theories about psychology and then begin to implement them and see if they work. I have been cultivating a positive attitude and am working on being less judgmental of myself and others. Working on yourself is important whether you do it with a form of self-help or you do it in a group or you do it with a therapist or counselor. Some people find that their religious beliefs do this for them. I have never found any people any easier to work with. Their support staff is wonderful. At the beginning, they have a free on-line course and you are encouraged to discuss your responses and reactions to it with them. Also there are support letters that accompany different stages of the program and there are often several freebees included with each level. When I am a good student I spend an hour a day listening to the CD’s; but the benefits are so good that usually you look forward to taking a break with them. I have also listened to them in the night when I have had problems sleeping. The self-help benefits are so good that using the Holosync Solution can take the place of other do it yourself programs that you might have otherwise tried if you had not been using Holosync. Also there are often payment plans offered for about what you might be paying out for books and workshops for self-growth a month (usually less). It is easy. It is simple. Do take advantage of all the materials offered and included with the program. All you need is some good stereo headphones (which you can buy from them at a reasonable price.) and something to play the CD’s on. They have kept up with techknowledgy having started with tapes, moving to CD’s, and now are using other methods of electronic transmission. The meditation recordings are set up to get you going without concentrating on anything. Just listen. Click on the Centerpointe link to the on the left hand side and it will take you to the site that tells you all about it and where you can order the free introductory recording and/or the first level of the program. Many of the ideas that I have have presented here, www.myeverydaypsychology.com, have come directly or indirectly from my use of the Holosync Solution. Can you enjoy, truly enjoy, something without dissecting or analyzing it. 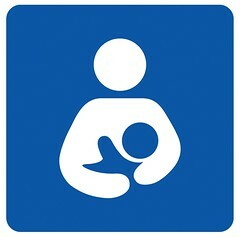 For some mothers breastfeeding is such a moment. Do you actually look forward to a moment when you are doing a task that is so routine, you don’t even need to think about it. Lavishly illustrated coffee table books hit the spot for me. I can do all the looking I want and there is nobody telling me to hurry up or move on. When I make the occasional excursion out by myself, (if I have time) I make it a point to “window shop” in a new store, one that I haven’t been in yet. I am very visual. That’s how I see things. For some it is a long luxurious hot soak in a bath tub. For others, it is a shower using all the water you want. Then you might like to crawl between sheets in a freshly made bed. Most or all of these seemingly mindless experiences involve the senses and you don’t have to think about them to enjoy them. Can you sit still, not moving a muscle, while your mind is a pleasant blank? Did you ever think that that was possible? Can you drive a car without using your mobile phone, texting, using the computer in your car or listening to your radio or music player? Does your mind require that you have a conversation if not with someone else, then at least with yourself. Can you just be in the moment focusing only on what is necessary to drive safely? Can you go to church or attend a lecture and not get antsy and have your mind wander? Sitting in stillness. Sitting in silence. Not requiring that something entertain you. I didn’t plan to do this. I didn’t even notice at first that I did this. I do now. 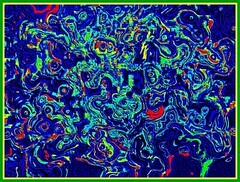 I have since concluded that this was the result my practice of meditation. Could this be called, “peace of mind?” I can just “be”. Mind clutter ceases to exist. If I don’t have to think about something, I don’t. My attention is very selective. I can and do use this time to do things that I don’t ordinarily have time to do or forget about doing when I am busy with other things. I focus on visualizing things as they intuitively occur to me rather than on what I think I should visualize. I use my mind as a blank screen and focus on nothing rather than on depressing or negative thoughts. This includes avoiding judging other people or other things as they appear to me and even having positive thoughts about people or things I would envy. Yes, you can “change” your mind, one thought at a time. You can avoid thinking the things that keep you from having an attitude adjustment and a more positive future.